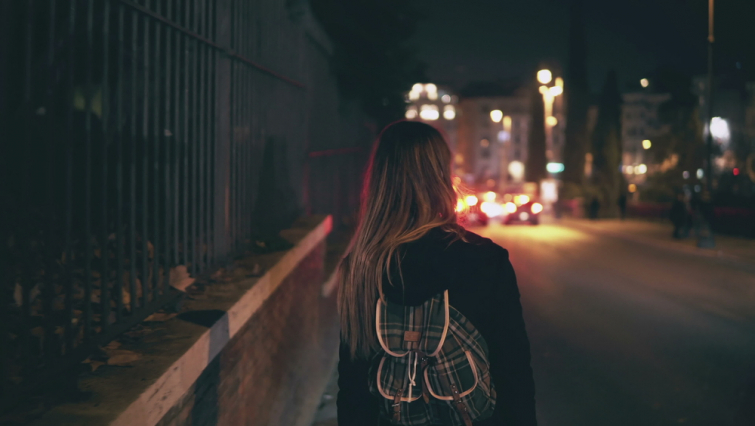 This gripping letter from an anonymous guy who followed a girl is going viral at the moment. And, although it sounds like the beginning of a frightening thriller, the man had a perfect explanation for his suspicious behavior. Maybe even saving the young girl's life in the process. On Reddit, he tells his story and offers his sincere apology. "To the girl that I followed today for almost four blocks to her car," the man starts his apology. "We were walking in opposite directions near the new student accommodations, you briefly looked at me and kept walking." A couple of seconds later, however, the man suddenly turned around and started following the young woman. "The moment you realized that I was following you, your pace changed, your shoulders squared, and you grabbed your phone," he proceeds. "But, that didn't stop me. You just kept walking, and I maintained the distance - some 50 feet behind you - pretending to talk on my phone." "you kept walking, throwing glances to check where I was"
"I thought a couple of times on closing the distance and introduce myself, talk to you, but I didn't. So, you kept walking, throwing glances to check where I was. I could tell you that once you turned around the corner to the dead-end street next to the motorway where your car (and mine) was parked, that if you had been wearing tennis shoes, you probably would have started to run, but wisely you kept your pace in your high heel boots." "I stopped by my car, yours was further down the street, and I saw you taking a picture or video of me when you passed by my side in your car." "What you probably never noticed was the other two guys, the ones in the other sidewalk"
"What you probably never noticed was the other two guys, the ones in the other sidewalk, the ones that pointed at you and started following you before we crossed each other the first time. You didn't notice how they looked at you or the fact that they seemed to be on drugs, or a bit drunk, or maybe both." "You also didn't notice - when you passed me in your car - that they were in the corner of the dead-end street, looking at you passing by and then at me. You also missed the next ten minutes while I waited in my car for the police to arrive (I called them while you were getting into your car), the 15 minutes of questions that followed and me showing them the picture of the two guys that I took while I was following you." "I wouldn't be able to forgive myself if something happened"
"I'm really sorry that I scared you, but to be completely honest, I was extremely scared myself. I'm no hero by any means, and my instinct was telling me to get the hell out of there, but you could have been my wife (she parks in the same street) or my daughter. I wouldn't be able to forgive myself if something happened and I hadn't done anything to stop it."